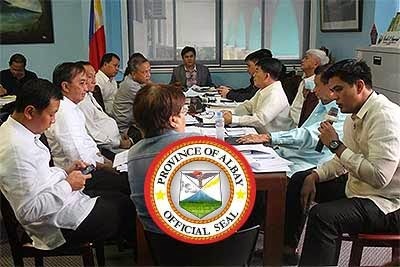 The Sangguniang Panlalawigan ng Albay passed a resolution which strongly opposes the implementation of an order that limits buses from Southern Luzon and Bicol provinces at a terminal in Alabang in Muntinlupa City. The resolution, entitled “DEFINING THE METRO MANILA ENDPOINTS OF PROVINCIAL PUBLIC UTILITY BUSES ORIGINATING FROM SOUTHERN LUZON, BICOL AND VISAYAS TO “METRO MANILA” AS THE ENDPOINTS OF THEIR CURRENT AUTHORIZED ROUTES AND FOR OTHER PURPOSES” is authored by Board Member Neil Montallana and co-authored by all the members of the SPA, which ensured unanimous voting to its passing. The resolution is in support of Albay Governor Joey Salceda, who earlier expressed his dismay over said order. The move was prompted by the uproar created by residents coming from Southern Luzon, particularly from the Province of Albay, who regularly commute using buses finding more difficulties with the order given. Issued by the Metropolitan Manila Development Authority (MMDA) and the Land Transportation Franchising and Regulatory Board (LTFRB), Memorandum Circular 2014-15, prevents the entry of provincial buses that were previously disembarking passengers in the Cubao terminal, in hopes of decongesting the worsening traffic in Metro Manila. The Sangguniang Panlalawigan ng Albay noted that Memorandum Circular 2014-15 caused severe inconveniences to travelers as they need to disembark at the Albang station after being tired and weary from a long travel and ride another public utilized vehicle far from their destination, resulting to additional costs as well.